It's easy to think that your houseplants won't need any special care as time goes by, but keeping your home comfy for you can actually complicate things for them. One of the best things about houseplants is the color they can bring to a home during the cold, mostly-white winter months. They brighten up interiors and improve the air quality in them, too. The only thing is that they'll typically require special care to keep them going into the spring. Believe it or not, the things you do to keep yourself warm and comfortable during the winter months can actually put a strain on the soil inside your home. For that reason, the temperature you set your furnace to might be wreaking havoc on your houseplants. While many plants don’t need to be watered as often in the winter as they do during the summer months, the heat coming from your vents can make the soil overly dry. 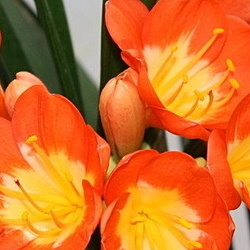 Usually, plants require a medium that's at least somewhat moist. 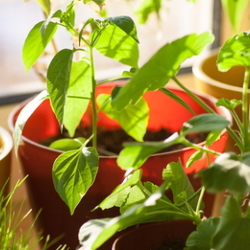 Where you choose to keep your houseplants can also contribute to their drying out. While they should always be close to sources of natural light (such as exterior windows), they should never be placed near sources of heat or cold drafts. Plants that are too close to heating vents or space heaters will have much drier soil because of the hot air currents around them. If you do have to put them in a location where they will be subjected to this kind of heat, just be sure to check on their soil's moisture more often than you normally would. One thing that can bother both people and plants when the furnace is running for an extended period of time is the resulting low humidity level. A lot of dry, hot air is being forced through the vents in the wintertime, so it makes sense that the air inside feels drier then. In fact, your home may only have about five to ten-percent relative humidity in the air during that time. Most of the plants that live in your home prefer relative humidity levels of about 40 to 50 percent. Your skin and hair usually do better with some additional moisture in the air, too, so there's really no reason not to increase the humidity in your home. The easiest way to increase the humidity inside is to purchase a room humidifier. These are often helpful when you have a cold because they can moisten up your dried nasal passages and help you breathe better. And of course, they help keep your plants happy, too. 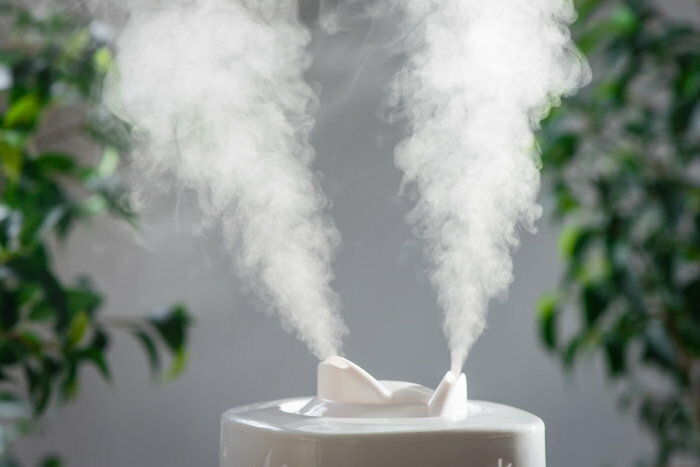 If you don’t happen to have a humidifier laying around and you don't feeling like buying a new one, there are still a few things you can do to help your plants out. For instance, you could create your own low-tech humidifier. To do this, take a shallow tray and place pebbles on it. Add water in until the surface is just below the top of the rocks, then put your potted plants on the tray. As the day progresses, the water from the tray will evaporate and raise the humidity level in the air directly around your plants. Another option is to just mist your plants with some room-temperature water. Misting can also help increase humidity levels. 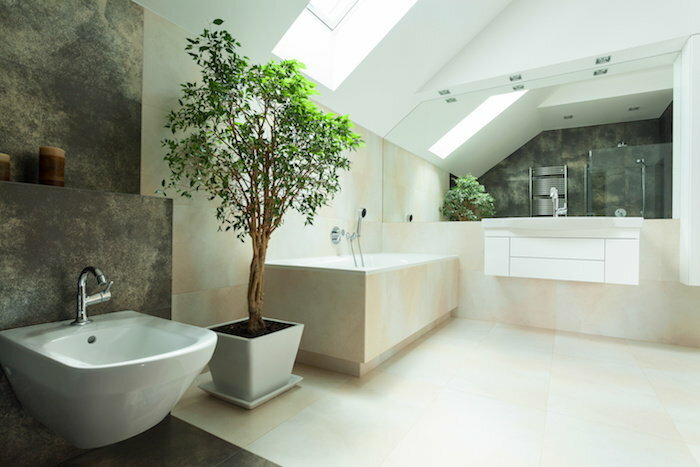 Just be sure to keep the water on the plant and leaves, as it can cause problems for your walls, furniture, and flooring in the way of water damage and mold growth. 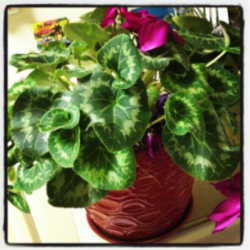 This worry about getting moisture to houseplants can sometimes cause people to go overboard and overwater them. You’ll want to test your soil by poking your finger down about two inches into it. If it’s still dry that far down, watering is necessary. For those plants that require perpetual moisture, it'll suffice to feel the top of the soil. If it's dry, water lightly. 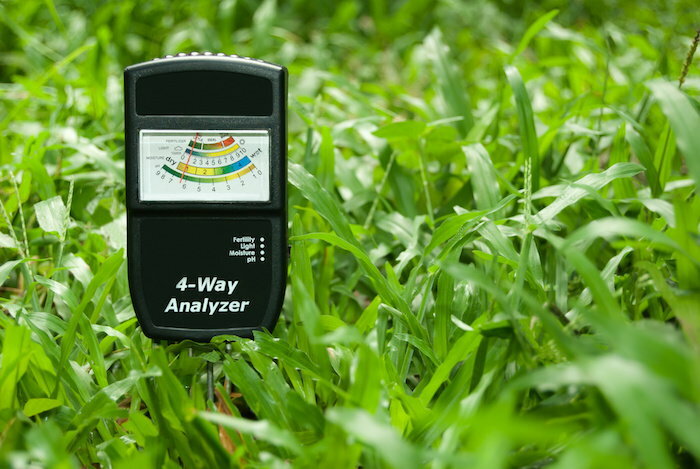 If you can’t put your finger down into the soil easily, you can always purchase a soil meter. These devices are typically equipped with thin metal probes, which you simply poke into the ground that needs testing. The probe then reports the amount of water in the soil back to the meter. You can often find soil meters that test for more than just moisture. To achieve the right amount of moisture, there's a specific way you should be watering your houseplants. For starters, it’s important to slowly add water to each container and allow it to soak into the soil as you go. Once you see it puddling on the top of the plant, you can stop. You’ll also want to make sure that each pot has good drainage and a catch tray underneath it. Empty the tray after a few hours, as you don’t want to leave the container just sitting in the water for too long. Giving your plants the right amount of water during the winter may seem hard considering how easily the hot air in your home can dry them out. Following these suggestions will help you keep your houseplants happy all winter long and allow them to continue providing you with all of their amazing benefits.